GWL is a values-led feminist museum that rethinks the traditions of museum practice; and stands as a model of good practice with an innovative and proactive approach to Equality, Diversity and Inclusion (EDI). The Equality in Progress project aims to support the wider museum sector to gain a better understanding of ‘equality’ as a theory, with the intention of widening access, representation and inclusion for people with Protected Characteristics. Equality in Progress’ theoretical approach is grounded in the foundations and values of GWL – a grassroots museum borne of the need for provision. 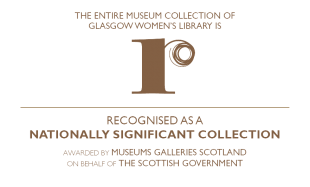 The organisation was founded in response to the lack of visibility of women’s histories in the mainstream museum, gallery and library sector by intersectional communities of women. It upholds the belief that cultural access and participation changes lives. This report responds to the need for analysis of the complex systems of intersectional inequality in museums. As a project we deconstructed the power relationships between museums and people, exposing the barriers to information, learning and resources; unpacking the methods that have established, and maintain, inequality of access to museums. Equality in Progress: Research from a grassroots museum offers innovative thinking using a feminist analysis of inequality, to support the wider sector to enact sustainable change. It advocates for feminism as a holistic equalities-led framework to address the museum as a socio-political structure in need of transformative change. It is intended to assist Scottish museum sector workers in all roles and at all levels to examine their approaches to equality, and to identify where changes to current practices can be enacted. Equality in Progress: Research from a grassroots museum is available to download and share now. 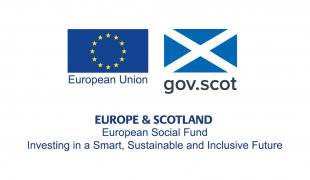 Equality in Progress is funded by the Scottish Government and the European Social Fund.